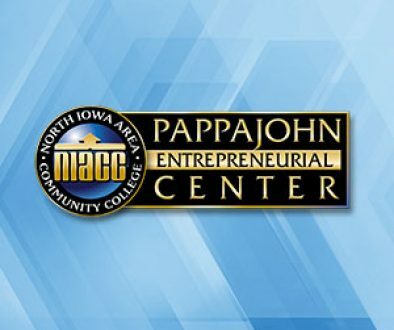 North Iowa Area Community College (NIACC) will be offering Supervisor Essentials, an 8-course leadership series designed to address the essential skills necessary in all leadership roles. Series participants will meet with instructor Russ Curry on the NIACC campus every other Wednesday afternoon from 1:00 – 4:00 pm, beginning March 6, 2019. The course schedule includes: Employment Law Basics (3/6/19), Harassment & Discrimination: Protecting Your Employees & Your Company (3/20/19), Hiring & Retention Basics (4/3/19), Performance Management & Evaluations (4/17/19), Communication & Conflict Resolution (5/1/19), Diversity & Inclusion (5/15/19), Finance 101 (5/29/19), and Time Management (6/12/19). Tuition for the full series is $499, but learners can take classes individually for $65 each. For more information, or to register for courses, visit https://niacc.augusoft.net (search “Supervisor Essentials”) or contact the NIACC Continuing Education office at 641-422-4358. Russ Curry, SPHR, SHRM-SCP is a forward-thinking and results-oriented business leader with over 28 years of human resource experience in a wide range of multi-channel environments including manufacturing, technology, retail, health care, and transportation/logistics. His experience ranges from small start-ups to publicly traded Fortune 500 companies. For the last 15 years, Russ has served at the vice president/executive level to help drive organizational change in alignment with strategic objectives. Russ is a seasoned and successful leader in strategic planning and execution, talent development, performance measurement, hiring and retention, employment law, change management, employee engagement, diversity and inclusion, and manager/supervisor training. His approach has been described as welcoming, engaging, and culturally responsive at all levels. Russ also provides services in partnership with Kirkwood Community College, Indian Hills Community College, Iowa State University (CIRAS), and Northeast Iowa Community College.